Originally from Winnfield, LA, she has lived in this area for close to ten years and counting. With two educator parents and a physician’s assistant sister, everyone has a strong emphasis on careers. Having a strong nursing background, she enjoys being able to connect with patients that come into the office for a wide variety of reasons. Enjoying the nursing schedule, career path and the joy it brings patients when they talk to her, she continues to provide excellent care, even in a surgical setting. This is something that she looks forward to every day when she shows up for work. In her spare time, Casey enjoys being able to spend time with her kids and picking up a good book to read. Her favorite place is home, but Baton Rouge is also a great area within the state to spend some down time. Rooting on the LSU Tigers, if she was not an N.P., she would have chosen a career as an interior designer. Reminding her to make the most of each day because every moment we have is a gift. 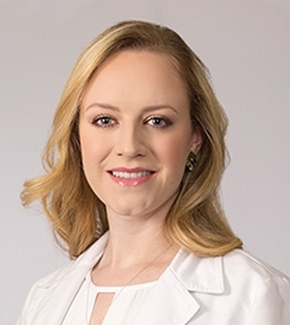 Specializing in the surgical field, she enjoys being able to be a part of something that means a lot to the patients. Providing care for each one of them is something that brings her joy. Louisiana Association of Nurse Practitioners. Providing excellent information on patient care, further education resources and a group of committed NPs delivering excellence in every healthcare field. Casey Kirkland, N.P. is associated with Christus St. Frances Cabrini Hospital, Christus Cabrini Surgery Center.